According to the U.S. Census Bureau, there are 76.4 million baby boomers. Boomers makeup nearly 25 percent of the U.S. population and these people born between 1946 and 1964 are known for enjoying, well… the finer things in life. And some of those finer things are their own teeth! So, if they should happen to need tooth replacement, then a bridge or denture simply will not do. 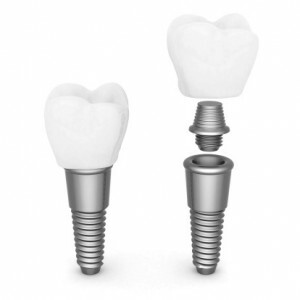 They will expect a more lifelike alternative and fortunately there is one: dental implants. For Westfield implant dentistry, people in and around the area turn to Dr. David Weinman. So, now that we know how many baby boomers there are, can we predict how many will need tooth replacement? Research from the American Association of Oral and Maxillofacial Surgeons estimates that approximately 69 percent of adults ages 35 to 44 have lost at least one tooth due to traumatic injury, failure of a root canal, gum disease or severe tooth decay. Those number are made even more significant by the fact that they’re not even baby boomer age! But by the age of 74, we can expect more than 25 percent of adults to lose all of their teeth. In 07090, dental implants are the best tooth replacement option for baby boomers and beyond. With a dental implant, Dr. Weinman surgically places a small titanium screw in your jawbone just beneath the exposed gum tissue where your tooth is missing. This screw does the job of a natural tooth root. As you heal from surgery, the screw and the surrounding bone tissue fuse together in a process known as osseointegration. The screw becomes firmly set in your jaw and as such forms a solid foundation for your eventual tooth restoration. In addition, the implanted screw stimulates healthy bone growth, an important step in avoiding bone and muscle deterioration that leads to the appearance of a sagging face that often happens to people who are missing teeth. When you’ve completely healed, you’ll return to our office for Dr. Weinman to attach a custom designed prosthetic. Whether your tooth restoration is a single crown or a specially created bridge or denture that is secured in place by your new dental implant, you will be able to smile, eat and speak with confidence. To learn more about how dental implants can restore your smile, schedule a consultation with Dr. Weinman in Westfield, NJ. We also extend service to our neighbors in Scotch Plains, Fanwood, Cranford, Mountainside and surrounding areas. Dr. Weinman and our team look forward to meeting you and making you smile.